I think I actually like visiting Reading Terminal more than I do the Philadelphia Flower Show! My only issue is during the flower show, it is packed beyond belief! I really need to go on a weekday when it isn't so crowded so I can try a few different dining options. I am quite honestly still dreaming about the vegetable focaccia above from Metro Bakery. The flavor was out of this world and it was very hard not to eat the whole thing! So, so good!! 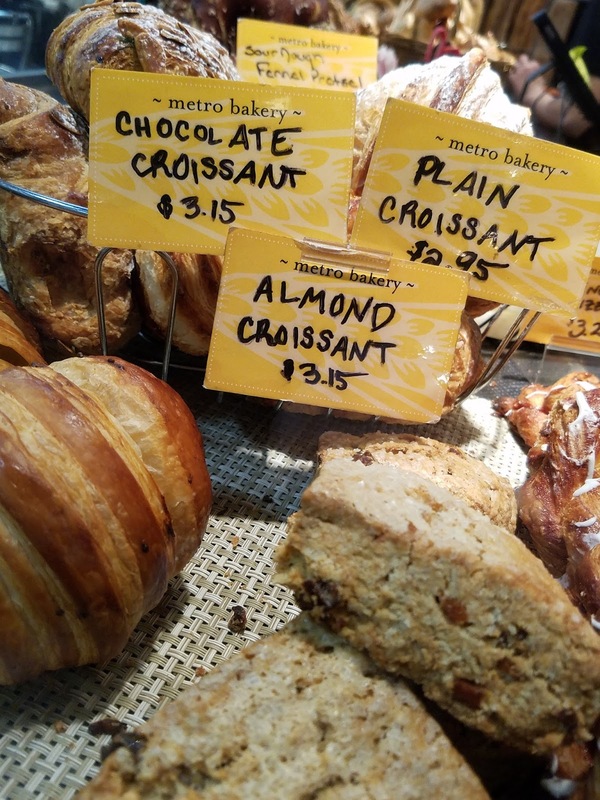 More selections from Metro Bakery which makes it very hard to choose one item. 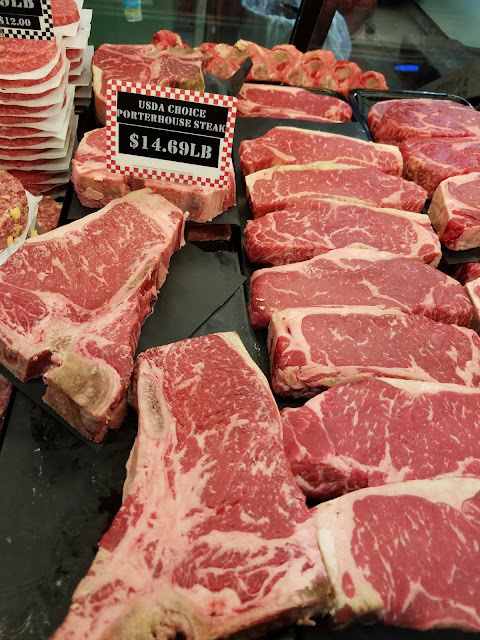 Guinta's Prime Shop has some of the most amazing meats and sausage. 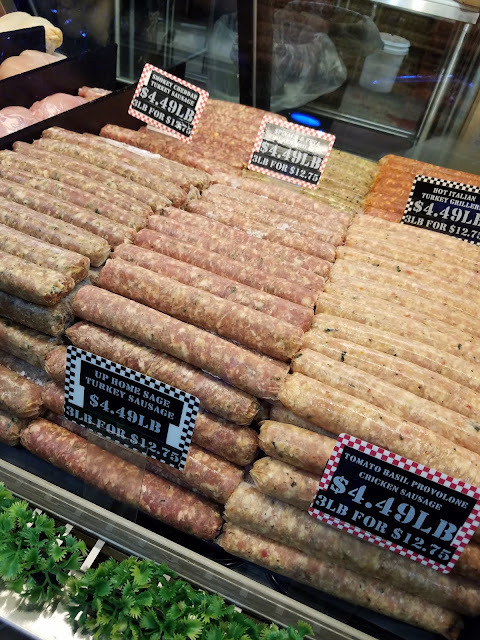 Their prices are very reasonable and I was so sad I didn't have a cooler to bring some sausage home. The good news is - they ship! I just may order some to be delivered to my home. Yay!! I was thrilled to see Termini Brothers actually inside the flower show to enjoy a cannoli while you look at lovely flower displays. The cupcakes below were too pretty to eat! Lunch on this day was pretty fabulous - Crab cake sandwich with truffle fries from Pearl's Oyster Bar. I could eat seafood every day. My friend had wonderful fish and chips done right that were so crisp and fresh. I tried their oyster stew but it didn't have very many oysters in it. It was good but not the best I have had, glad I did try it. 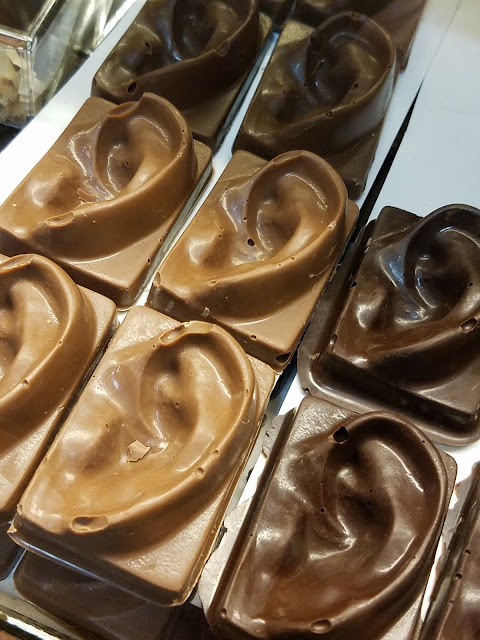 A chocolate ear? Why ever not? 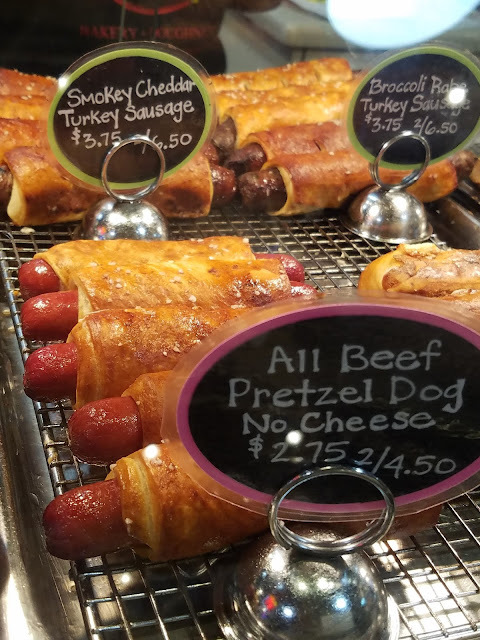 Found at Meuller Chocolate Company. No need to be concerned about ear wax! 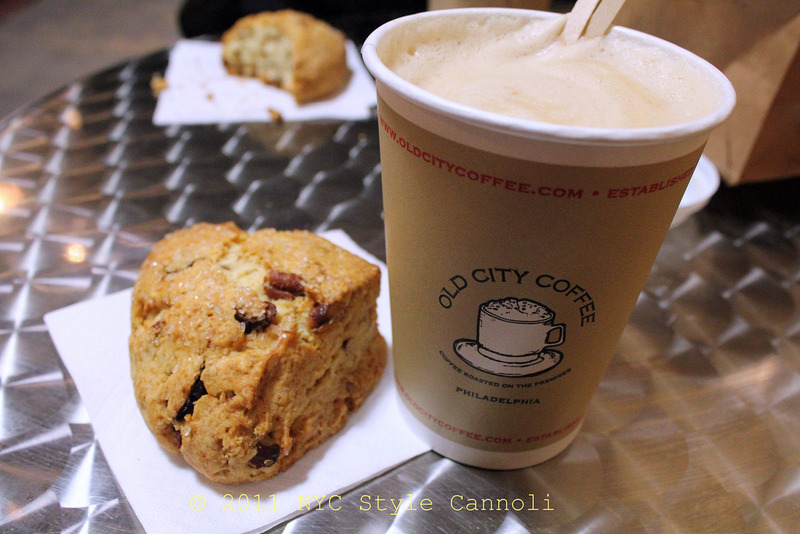 I really love the items and coffee at Old City Coffee, this scone was really so tasty! I would do this job for free. Totally free and willing to fill cannoli with ricotta cream and mini chocolate chips. The ultimate job. Maple Bacon Donuts at Beiler's Donuts and Salads. Yes, that is quite a weird combo BUT if you have the salad first, you have room for the donut. Perfect! 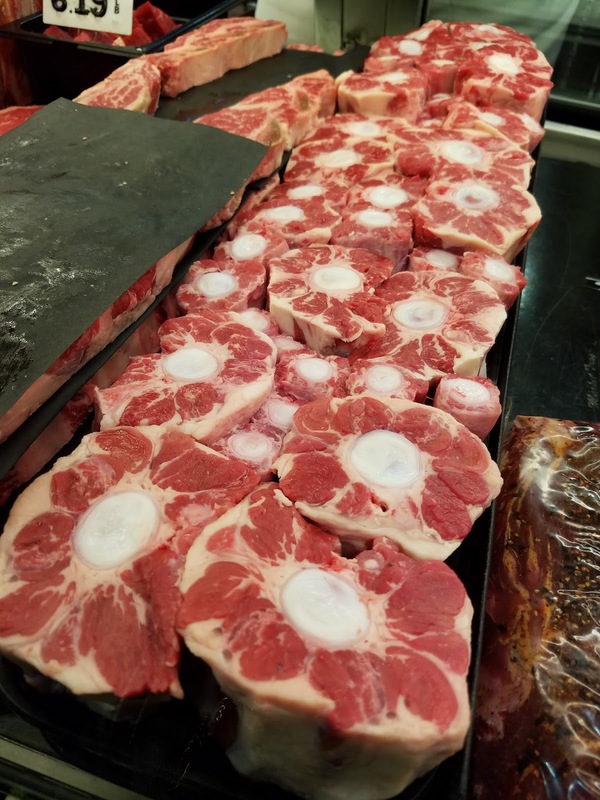 These looked interesting and a way to incorporate your veggies too! St Joseph Day cakes make me very happy! The best carrot cake - even though I hate carrots as a vegetable. 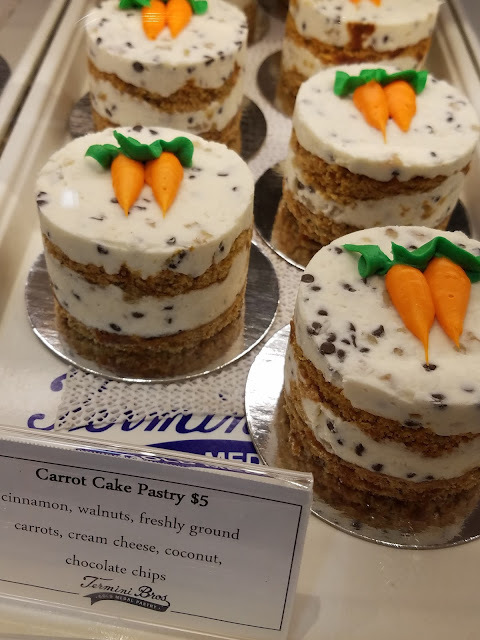 In a cake I am in love! 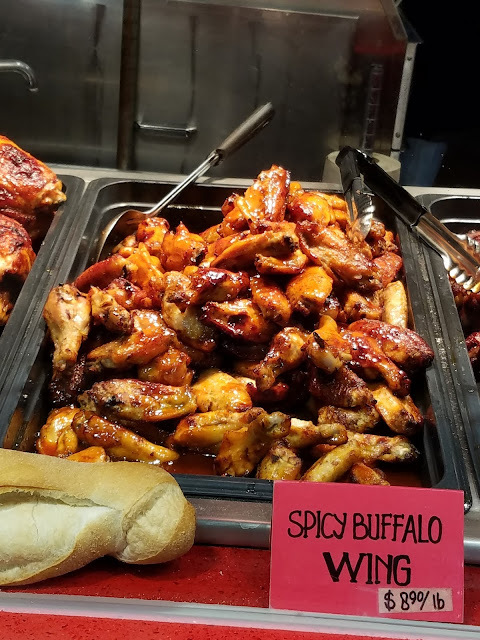 Have you ever dined at Reading Terminal Market? 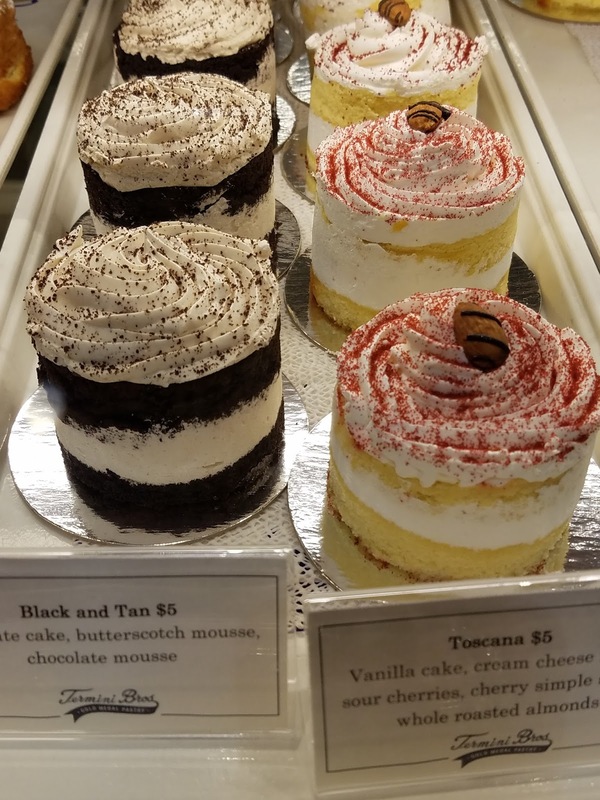 It is a must when in Philadelphia and best to go during the week for lesser crowds. 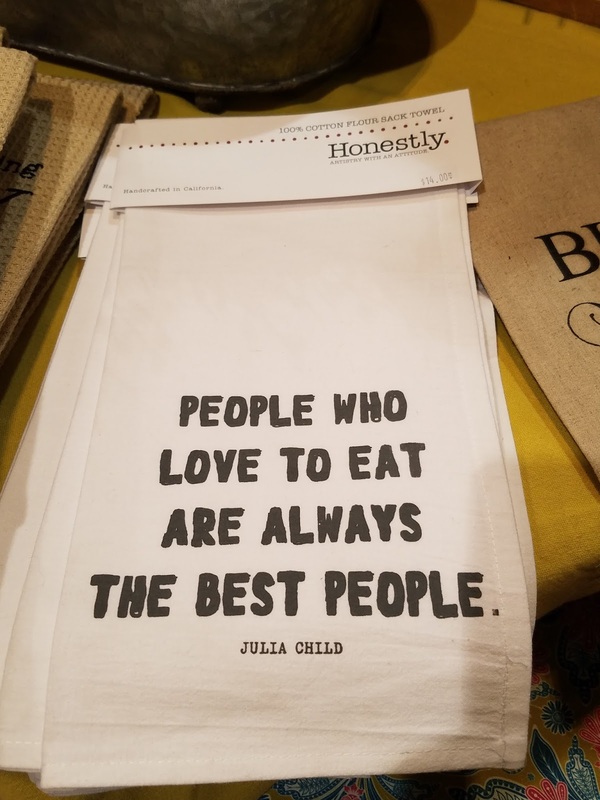 The food is worth trekking through the people in search of yumminess!